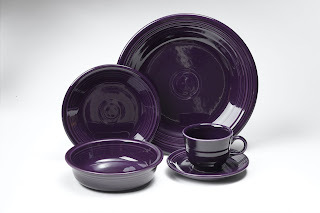 Dwell by Cheryl: Easter Color Extravaganza: The Color Purple! In my humble opinion, one of the best things about Spring is the flowers blooming in so many beautiful colors. 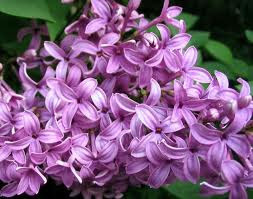 Without question, lilacs are among the prettiest. There's something very serene about the color purple. It comes in so many hues, but I'm certainly partial to the lighter ones. 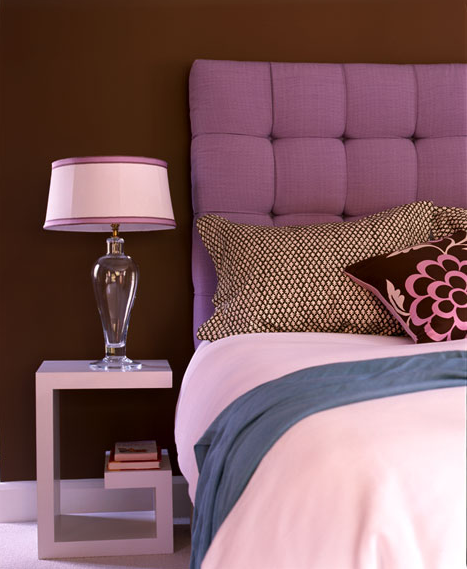 Like this tufted upholestered headboard. It just pairs beautifully with the chocolate brown walls. It's also nice against this very neutral linen bed and I'm really feelin' the wallpaper. And, I can't tell you how many times I probably passed something like the piece above the bed at thrift stores. I'm making a note-to- self because finding art to layer on top of wallpaper is no easy feat. ﻿ Lilac isn't the first color that comes to mind when I think of modern design, but Eve Robinson has done a great job making it work in this eat-in kitchen featured at the Kips Bay Show House in 2010. 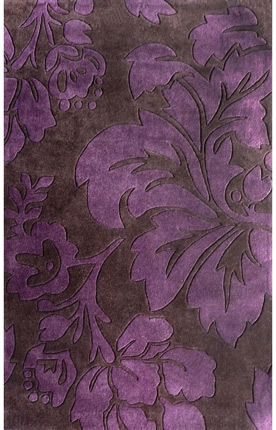 Of course Rugs USA, sponsor of last month's giveaway has a number of affordable options. I think this one is just lovely. Afraid to commit to the color purple? How about adding it to your table with this classic Plum option. Ok, so purple is my FAVORITE color. Yeah, i know. I don't wear it, but you've given me great ideas how to use it in my place. 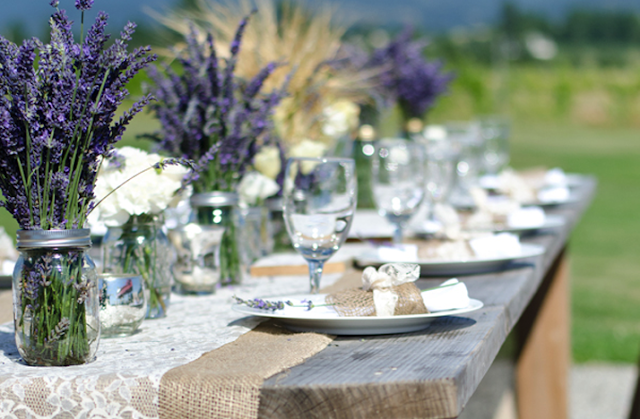 Oh, can I put myself on the guest list now for the Farm to Fork feast?! Too funny. Glad you liked.